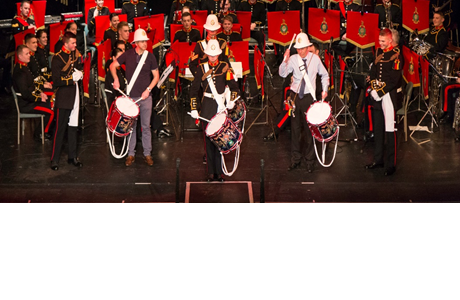 Musicians from the Portsmouth based Royal Marines School of Music entertained school children with an interactive concert performed in partnership with Portsmouth Music Hub at the Kings Theatre, Southsea. 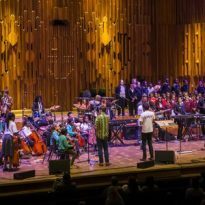 The event, which took place on Wednesday 1 February, was created to motivate and inspire children in the city to get more involved in music and give them an opportunity to see and hear a wide range of instruments up close. 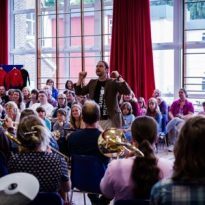 WO1 Bandmaster Ross Hunt RM, who conducted the Royal Marines Band said: “Performing to a theatre full of children isn’t something the Band Service does every day, and so we knew we had to make this event something the children would remember for a very long time. 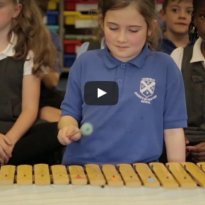 The music was familiar, fun and engaging because we wanted the children to be actively involved in the entertainment. 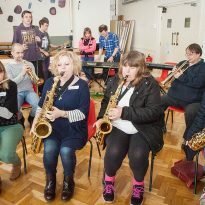 Making music and inspiring the next generation is an important part of our role in the community, and I hope today has been inspirational and unforgettable for both the children and the Band. a chance for two children to come on stage and conduct the band, and two teachers tried hard to keep up with the precision and skill of the Corps of Drums. The concert came to an end with the children singing a firm favourite, ‘Let It Go’ from Frozen. 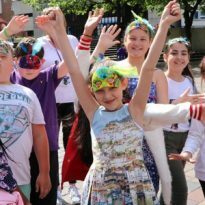 Sue Beckett, CEO of Portsmouth Music Hub said: “It was wonderful to see the enthusiasm on the children’s faces throughout the concert. They were absolutely transfixed by the performances and thrilled by the quality of music and the exciting entertainment. 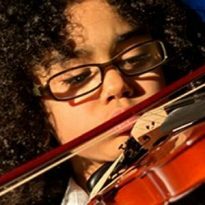 The musicians are an inspiration to our young people and we hope that the children will be motivated to participate in more music, and to go on developing a life-long passion for music.